Out with the old (left), in with the new (right). If you’re particularly observant, or are a seasoned label reader, you may have noticed a change steadily creeping onto the sides (and tops and bottoms) of your food packages. Like your hair growing longer or the coming of fall, this change is happening by degrees. Have you seen it? If you have, give yourself a pat on the back for perceptiveness! If you haven’t, don’t worry, the change is subtle, and for the time being, slow. The fact is, the Food and Drug Administration determined in May 2016 that it was finally time for an update to American Nutrition Facts labels. About time, if you ask me, since this is the first major redesign since food labeling was instituted in this country in 1990. This updated label was originally set to become mandatory for most companies as of July 2018. Unfortunately, as so often happens in the food industry, the legislation has been held up by lobbyists and may not be required until as late as 2021. Still, many forward-thinking companies are already adopting the changes, and I believe we will see that number increase as time the deadline gets closer. As a nutritionist, I’m happy to provide a rundown on everything you need to know about the new and improved Nutrition Facts label so you can be ahead of the game when the changes are complete! Here are some of the most important updates, and what they mean for you. In addition to more commonplace measurements, the FDA is getting wise and listing serving sizes in more realistic amounts–as in, based on what people actually eat rather than what they “should” eat. 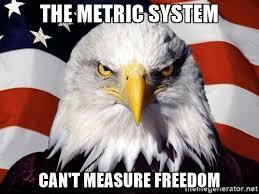 This means the infamous 1/2 cup of ice cream serving will be increased to 2/3 cup. Ever see this awesome Brian Regan bit about the silliness of itty bitty serving sizes? 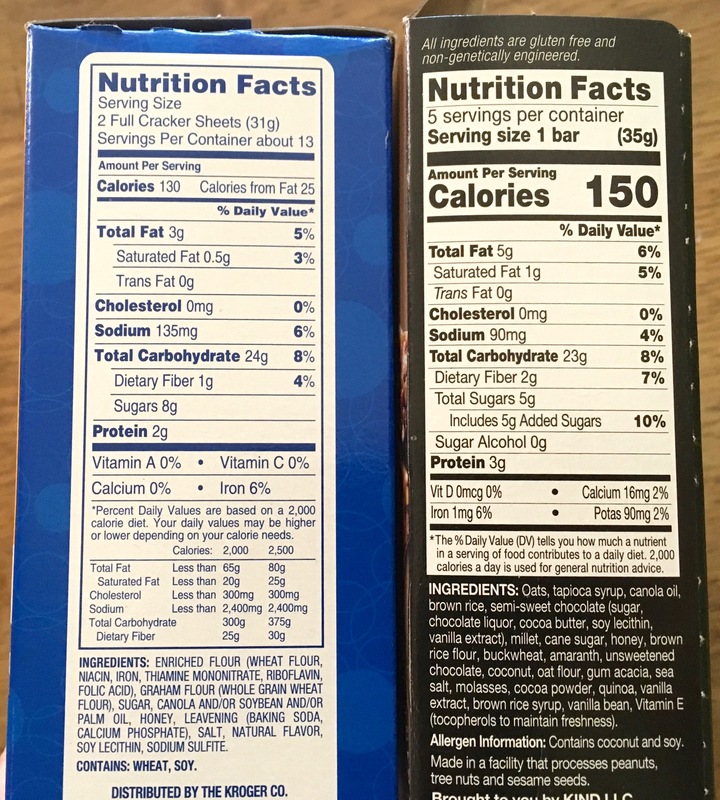 Serving size changes on the new label also mean that if a package contains between one and two serving sizes, the company is obligated to list it as one serving, since in all likelihood, people will consume it in one sitting. Calories: Calories will now be listed in bold in a larger font to make them more salient. Nutrient Values: In the last 20-something years since the Nutrition Facts were established, expert nutrition opinion has changed about how much of particular nutrients should be required each day. These changes have never been reflected on food labels…until now. The most important value changes? Sodium, fat, and fiber. Sodium: The new label will use a daily value of 2,300 mg of sodium/day, slightly lowered from the previous value of 2,400 mg/day. Fat: Rejoice! We get to eat more fat! Daily value for fat has increased from 65 grams/day to 78 grams/day. Fiber: The old Nutrition Facts used the daily fiber requirement for women as its baseline: 25 grams/day. (Yeah, did you know fiber requirements are different for men and women? 25 g for women, 38 g for men.) The new label has found more of a middle ground, setting the daily guideline at 28 grams. Added Sugars: This one is kind of a big deal. With the original Nutrition Facts label, when you looked at the amount of sugar, you could never be sure how much of it was naturally occurring in the food itself and how much was added with sweetener. Well, wonder no more! The new Nutrition Facts require companies to disclose how many grams of sugars have been added. The hope is that this information will help consumers make better choices about Cause isn’t there something about seeing the words “added sugar” that makes you just go..
New Vitamins & Minerals: Ever notice how there are only four vitamins/minerals listed at the bottom of the Nutrition Facts? Vitamin A, vitamin C, calcium, and iron? Well, back in the ’90s, the thought was that these nutrients were ones Americans were likely to be deficient in. These days, however, the FDA believes Americans are getting enough vitamins A and C, but not enough vitamin D or potassium. Therefore, vitamin D and potassium will replace vitamins A and C as being required on the new Nutrition Facts. There are, of course, other changes coming besides the ones mentioned here, but these are the ones I believe will matter to you! For the unabridged version, check out the FDA’s full write-up. Tell me your thoughts about the changes! Like? Dislike? Wish they had added or taken away? Wish ice cream was calorie-free? Let me know in the comments. This entry was posted in Nutrition and tagged labels, nutrition. Bookmark the permalink.